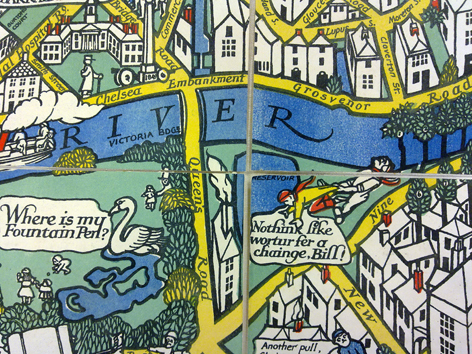 I have been working my way through digitising Gill’s ‘Wonderground Map of Londontown’ from 1914. 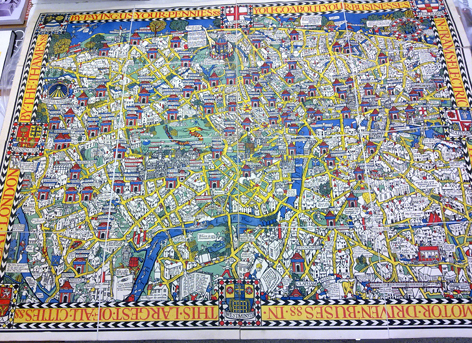 This is a very large piece of work that is going to be displayed at the exhibition folded up in a case as this is how the map has originally been intended to be stored. 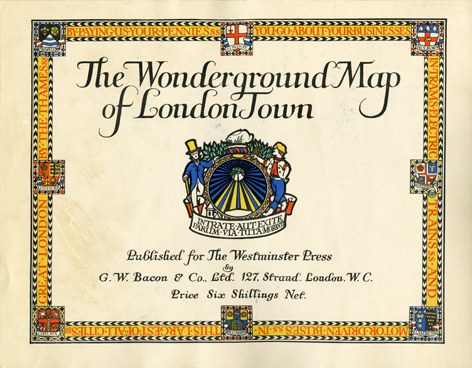 ‘Wonderground Map of Londontown’, Max Gill, 1914. Unfolded. The item is formed of 16 individual pieces of paper approximately the size of a standard A4 sheet. These have been adhered to a linen backing that is very flexible but when viewed laid out, leaves small gaps between the ‘folds’. The intention of scanning this piece is to be able to put the poster ‘back together’ digitally after scanning each of the pieces individually. This would then create a full digital file constructed from the pieces that will look as seamless as possible. I should also mention that the item itself is in an incredibly good condition – apart from a tear on the back cover. The colours are so vibrant they could have been printed yesterday and there are no tears or other damage to the map papers. The scanning part was very straightforward as the piece itself being quite happy to bend, with care, in different directions due to the linen backing being in very good condition. The part where the whole process has obviously become a little more like a wild mathematical equation is with my attempts at stitching the item back together digitally. Edges are not marrying up easily despite it looking like a relatively simple job. This is definitely due to the slightly busy nature of the piece and should be done a little bit at a time to avoid losing all track of the whole process! This must be exciting to work at; I wish I could see the end result. Thanks for the detailed reports and keep up the great work. 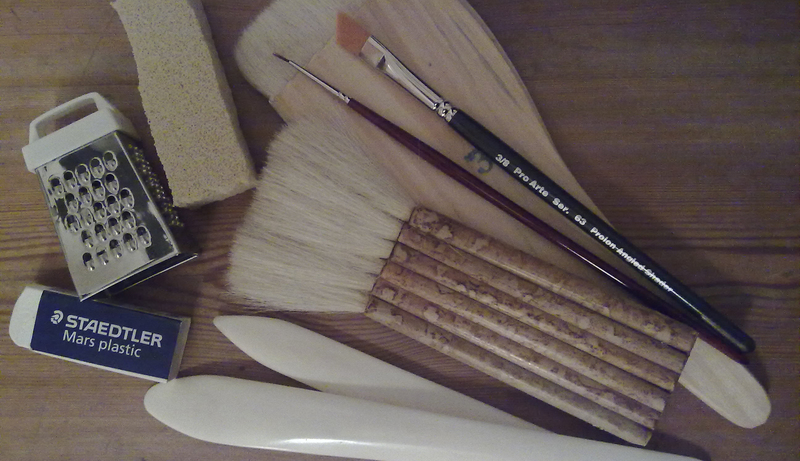 Thank you very much, Akos! If I do manage to finish this piecing together in a way where it looks acceptable, I will try and remember to post a detail up here on my blog.